Better than new with an understated elegance rarely found in newer construction today, this stunning seven bedroom home has been beautifully renovated in every corner. From the dramatic front entry to the soaring reception hall to the spectacular master bedroom suite to a backyard oasis that rivals the most exclusive resorts, vacationing away from home will be a distant memory. 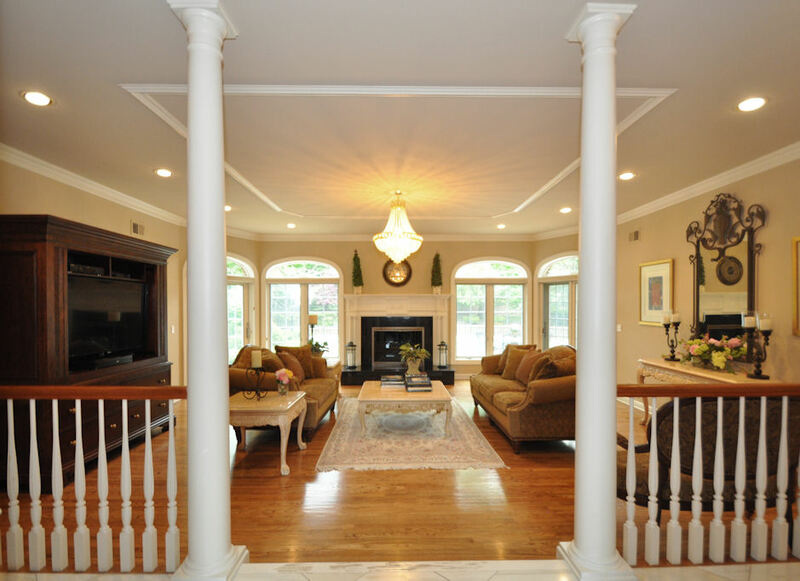 This is a home built for today's luxury home buyer ... be prepared to fall in love. 7 Bedrooms, 5.2 Baths, 3 Car Garage, open floor plan, custom upgrades throughout, spectacular heated in-ground pool on an expansive 1.33 acres with stunning western views. Click here to see the MLS listing and photos for this home. Additional information not found on the MLS can be found below. 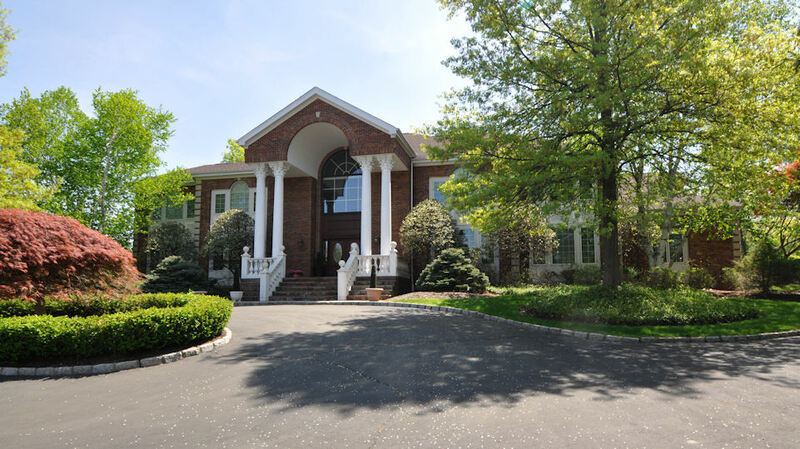 This majestic full brick Colonial home, with its impressive façade of fluted Corinthian-topped columns, stone balustrade and full circular drive, features everything home buyers want today and more, poised on 1.33 acre with spectacular western views from its private cul-de-sac location in prestigious Bel Air. A marble-floored rotunda reception hall soars two stories high, showcasing graceful twin bridal staircases that meet on the second floor and introducing formal rooms on either side. The inviting living room has French doors that open to a sun-filled home office that enjoys abundant windows and views to the east and west. The formal dining room is banquette-sized, perfect for gracious entertaining, set beneath a tray ceiling with ambient cove lighting. The piece de resistance lies at the end of the front hallway -- the heart of the home that is a stunning open concept great room with an elegant focal fireplace, framed with handsome pillars and four Palladian-topped windows that offer views of a secluded heated in-ground pool, patio and outdoor kitchen, creating the perfect at-home vacation experience! 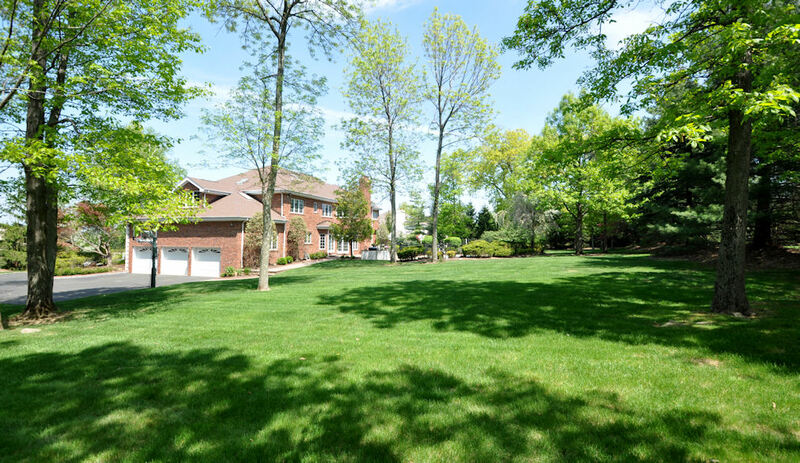 An expansive verdant yard adds plenty of recreational space. The adjacent chef's kitchen is spacious with professional-grade appliances, light custom cabinetry set against granite countertops and tumbled marble backsplash, walk-in pantry, butler's pantry, seated center island and breakfast area with sliders to the pool and patio. A nearby laundry room, second powder room and mudroom with access to the attached oversized three-car garage with staircase to the lower level add convenience. A lovely first-floor ensuite bedroom and renovated full bath are de rigueur for guests! 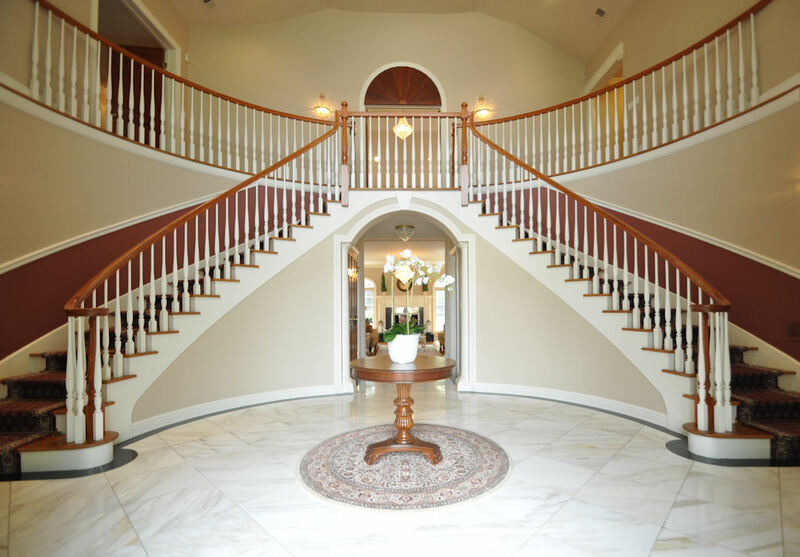 The second floor hallway overlooks the reception hall below and panoramic views to the west. Five well-appointed bedrooms include a sumptuous master bedroom "in the round," surrounded by windows and set beneath a high tray ceiling. A fireplace adds warmth and elegance. The marble-clad master bath is bathed in the glow of a skylight atop the sunken jetted tub, and includes a double vanity, frameless shower and separate commode with bidet. Double doors open from the bedroom into a spacious master sitting room/office that has two walk-in closets, beyond which lies a huge dressing room with expansive eastern and western views, boasting custom built-ins and a center island with drawers. Four additional bedrooms are gathered in a separate wing, served by two full baths, along with walk-up stairs to attic storage. 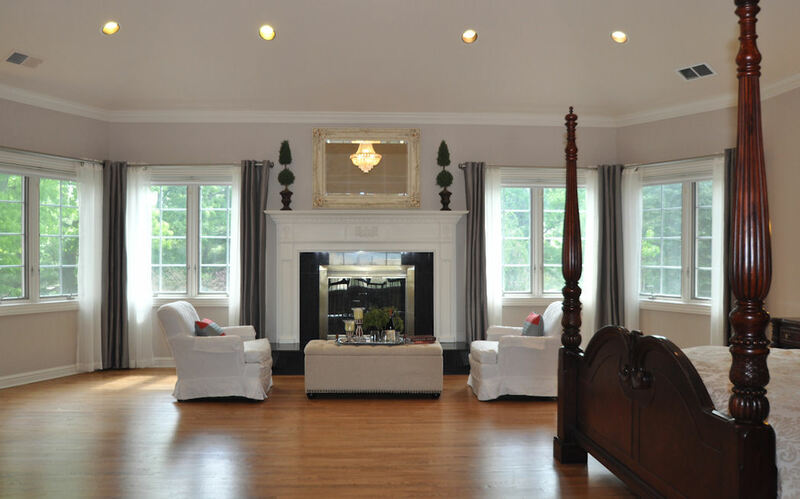 High ceilings prevail in the expansive lower level recreation/game room, anchored on gleaming hardwood floors. There is also a second full kitchen, ensuite bedroom with renovated full bath and exercise room that comprise everything that a fully-equipped apartment provides, with a separate staircase that accesses the three-car garage. Sophisticated mechanical systems include four-zone heating and air conditioning, central vac, alarm, automated sprinkler system and so much more. Located in the highly-rated Livingston public school system, this fine residence offers fine suburban living at its best.